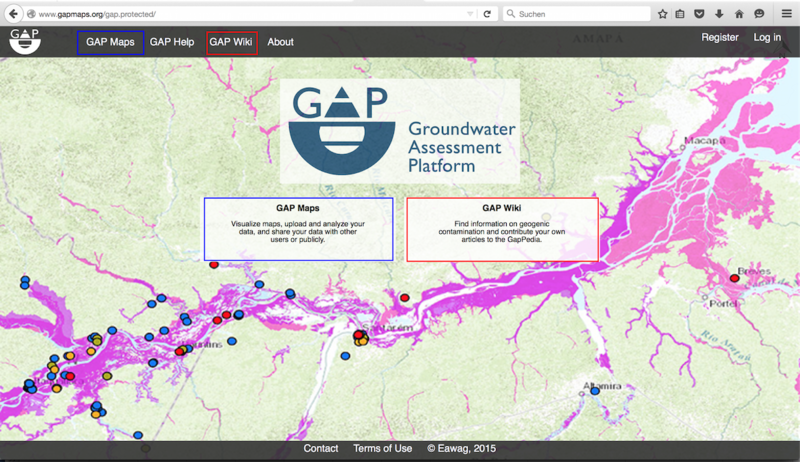 Under GAP Maps you can view arsenic and fluoride hazard maps and overlay these maps with climate, geology, socioeconomic, soil, topography and water quality layers. GAP Wiki is a wikitool where you can find information on geogenic contamination and contribute your own material. The GAP team has started GAP Wiki with content from the Geogenic Contamination Handbook. 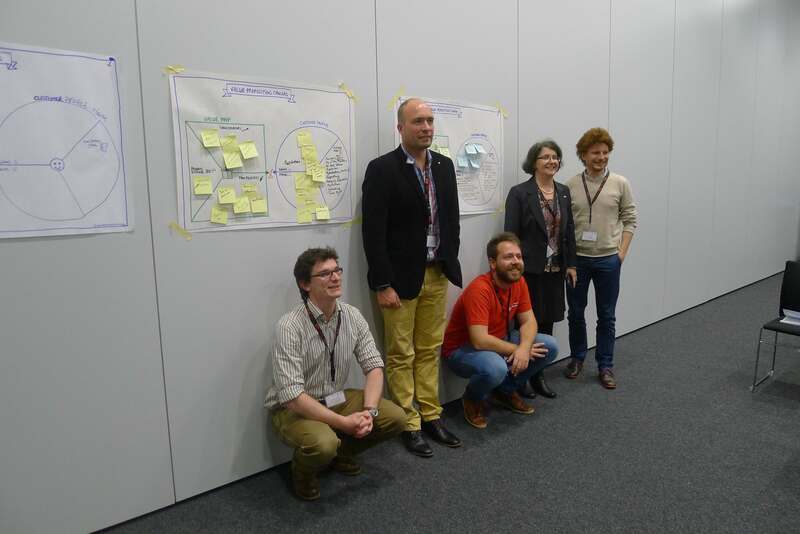 Eawag invites all users to contribute articles to GAP Wiki and join online discussions. We are particularly interested in learning about mitigation options and their application. 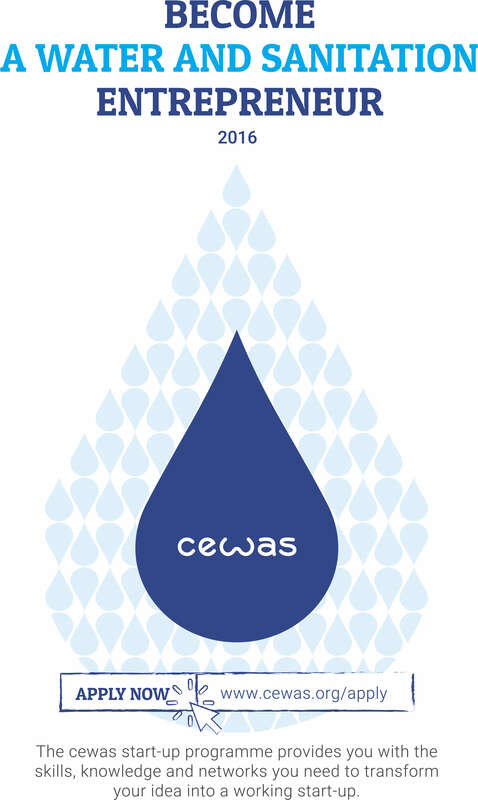 cewas is looking for motivated entrepreneurs and accepting until June 15th, 2016, applications for its annual Start-up Programme. Starting in August 2016, participants will be trained in sustainable sanitation, water and resource management as well as in business development. Participants create their business model and write a business plan according to the “lean start-up” method. They will become part of the large cewas community and get in touch with the gatekeepers, experts and investors on the largest event of the sector – the World Water Week 2016 in Stockholm. More information is available on www.cewas.org and in the flyer of the programme. The Swiss Parliament has to vote during its summer session, beginning in a week time (May 30), on the Dispatch on Switzerland’s International Cooperation 2017-2020. This dispatch is also linked to framework credits for its implementation. These are under the threat of being cut by the Parliament. A short version of the dispatch can be found online and gives the main orientations of Switzerland International Cooperation for the end of the decade. This document is also available in French, German and Italian. This dispatch is a report from the Federal Council to the Parliament proposing strategic priorities for the sector. It also includes the framework credits for each of the five policy instruments used by Switzerland to implement its international cooperation strategy. The five instruments are Humanitarian Aid (SDC), technical cooperation and financial aid for developing countries (SDC), economic and trade policy measures for development cooperation (SECO), transition cooperation in Eastern Europe (SDC, SECO) and measures to promote peace and human security (HSD). The current proposition of the Federal Council allocates 0.48% of the GNI to these framework credits, which is slightly under the commitment of 0.5% of the Parliament voted in February 2011 and well under the international commitment of 0.7% recognized by Switzerland. Some commissions of the Parliament have even suggested more drastic cuts which would hinder the effective implementation of Switzerland’s international cooperation strategy, especially regarding the long term bilateral cooperation strategy which aims to reduce poverty in all its forms and the exposure to global risks (such as water, climate change, food security, health or migration and development). In regard to these budgetary discussions, a consortium of Swiss NGOs have launched a petition recalling the importance of international development cooperation and the promise of the government to allocate 0.7% of the GNI to it. You can sign the petition here. Investors and other stakeholders are increasingly interested in knowing how resilient companies are in relation to their water-related risks. This year, the deadline for reporting to the 2016 CDP Water Programme is June 30th. Knowing your water risks and responding effectively has become key to a viable and competitive business. Not sure how to take action on water? Start by tuning into our recent webinar recording on the topic or get in touch with our experts at n.rosenthal@thesouthpolegroup.com. Are you planning to be present in Stockholm? Do you want to co-own the Swiss Booth together with other members of the Swiss Water Partnership? Do not forget to let the Secretariat of the Swiss Water Partnership know until May 27 at the latest! 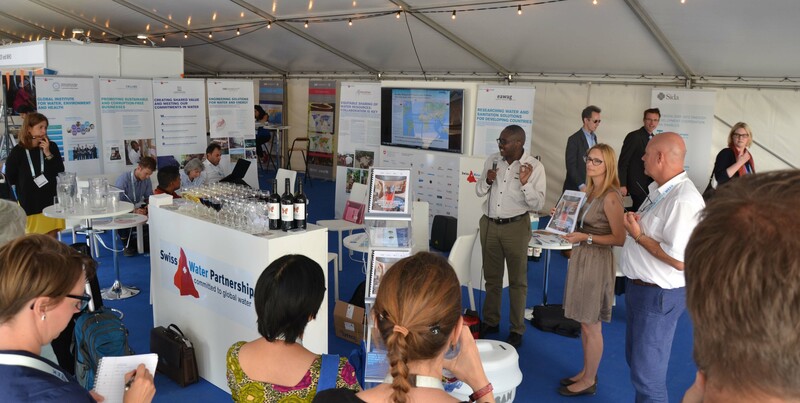 This year again, the Swiss Water Partnership will be present with a booth in Stockholm. This year’s exhibition will take place inside of the Stockholm City Conference Centre. The booth will be located right next to a newly created networking area and shall give great visibility to the Swiss Water Partnership and the members co-owning the booth. We will come to you with the detailed modalities soon, but for planning purposes we would be glad to already know if you intend to co-own the Swiss Booth. The State Secretariat for Economic Affairs (SECO) is informing about a conference on Sustainable Hydropower, which will take place in Vienna on November 30. Please let us know if you would be interested to give an input at this conference. This conference is conducted in the framework of the IFC Southeast Europe and Central Asia Public-Private Partnership Infrastructure Advisory Program, with the support of Switzerland, Austria and Norway. The Global Institute for Environment and Health (GIWEH), invites members of the Swiss Water Partnership to join them at the international conference, workshop and exhibition “Water and Rural Development – Integrated Water Resources Management” organized together with the Union Tunisian of Agriculture and fisheries (UTAP). The aim of the conference is to challenge and inspire the water and agriculture community, decision makers, investors, good practices, strategy and policy experts by sharing knowledge and best practice to develop a practical action plan for water and food sector in Tunis. Water and Rural Development, promoting sustainable agriculture and job creation. Members which would be interested to be present as speakers at this conference can get in touch with the secretariat of the Swiss Water Partnership or directly with GIWEH. 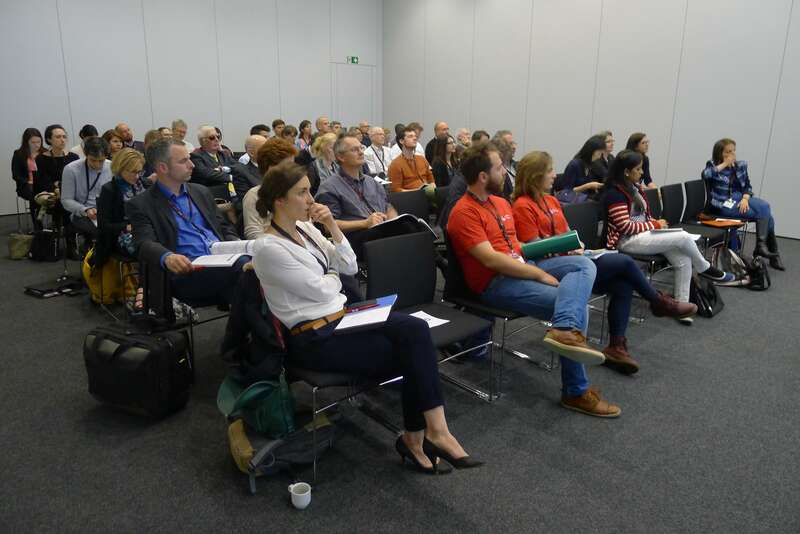 On the first day of EPFL’s Tech4Dev Conference, Swiss Bluetec Bridge, Eawag and the Swiss Water Partnership co-organized a session on the topic of “Serving Base of the Pyramid Markets and Customers: From Pilot to Scale”, showcasing case studies from Antenna Technologies, Ennos, Weconnex, x-runner venture and responsAbility.